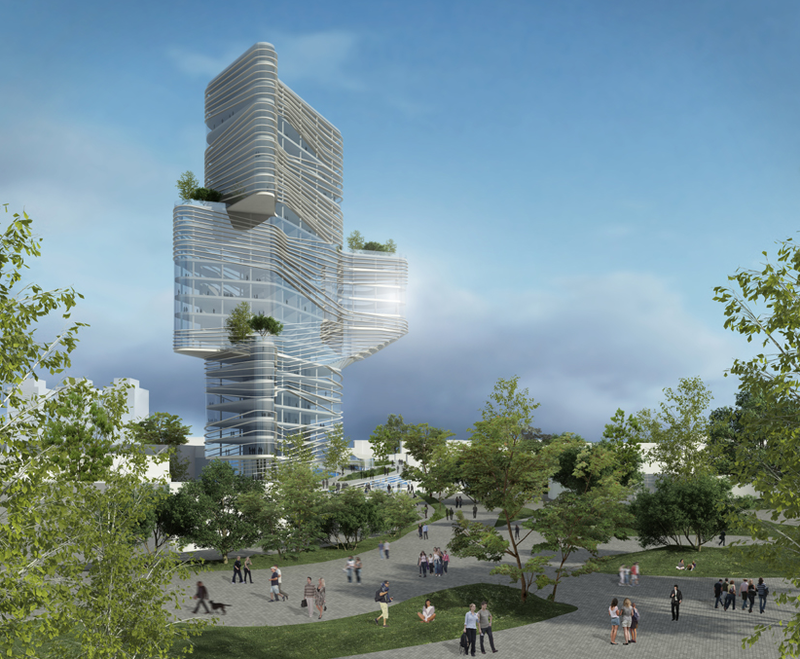 The redesigned City Center by Yaniv Pardo Architects, in Netanya, Israel will be transformed into a vibrant and exciting destination, benefiting a large metropolis. The new municipality building will act as the city's iconic landmark, catering to a number of uses by city residents from cultural, social, leisure, and commercial uses. 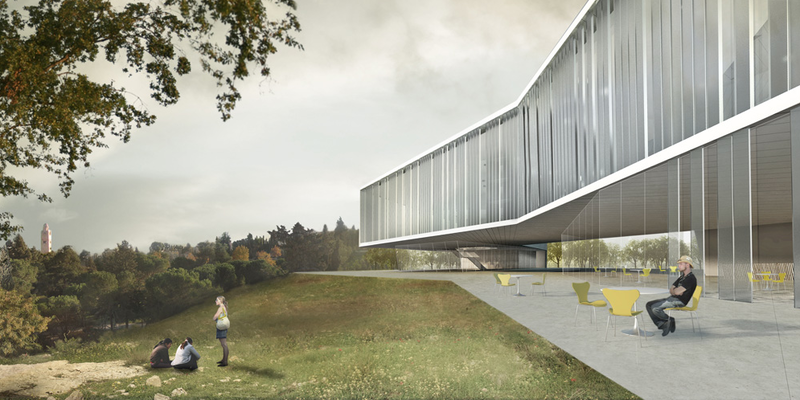 Through a delicate integration between existing city landmarks and the community's needs, the building will project accessibility and a general welcoming tone. 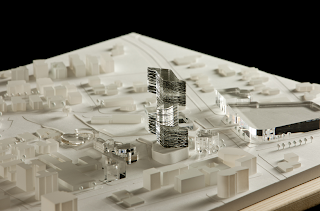 It will link the existing city landmarks, including the city square, public institutes and the shopping center, and will incorporate a large car park servicing the municipal building and surrounding establishments. 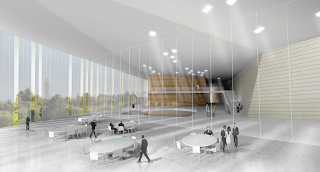 In order to facilitate outdoor events, conferences, receptions and youth events, a spacious square will be built outside of the municipal building, merging indoor and outdoor activities. The tower, modeled after the city's chosen symbol, the weather vane will be made of three prisms reflecting a dynamic and vibrant feel, like a gust of wind coming up from the shore on a hot summer night. The grid was planned so as to create identity an community through a communicative design that is also light and joyful. 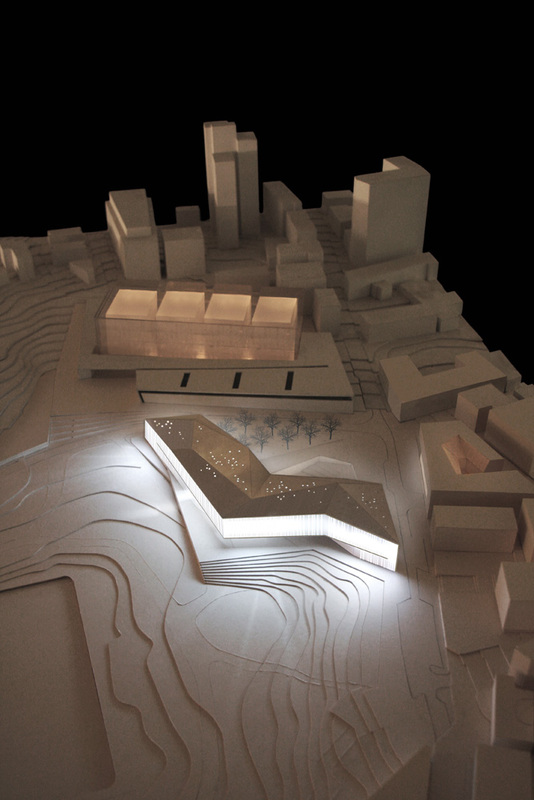 The new municipal building is planned as an environmental space, with geothermal planting above public spaces, Mashrabiya windows, and high quality curtain walls providing isolation and solar control. 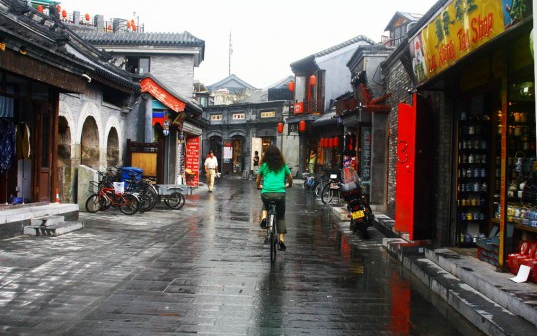 Strain on local natural resources, a booming population and development, and a dying ecosystem over the past few decades has pushed China in a tight corner. In order to alleviate stress of growing crops for an ever-increasing population, the government is intervening with nature by rolling out four regional programs to artificially increase precipitation across the country by 10 percent before 2015. 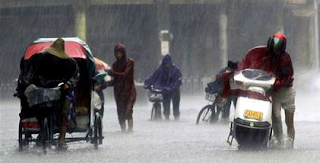 The program, which was included in the newly released 12th Five-Year-Plan (2011-2015), is anticipated to bring in an additional 230 billion cubic meters of precipitation per year. This is on top of the 50 billion China already artificially creates annually in the northeastern province of Jilin. 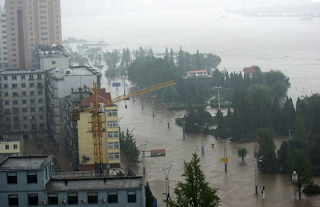 Each year an average of 3 trillion cubic meters of water passes over China in clouds, and only 20 percent of it falls on the ground, according to the China Meteorological Administration. And as extreme weather events such as drought and flooding afflict regions, damaging crops, protecting and providing adequate water for the nation's farming areas have become of the utmost importance. China has set another plan to boost its annual grain yield to 550 million tons by 2020, and this rainmaking initiative will ensure that this marker is kept. Because clouds are boundless, weather control is boundless. 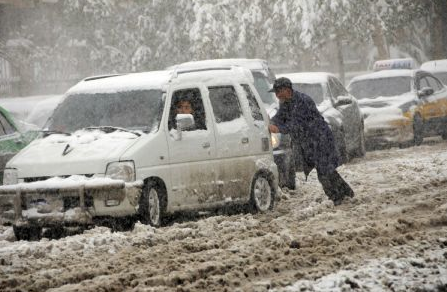 The five regional weather control programs will coordinate the ground resources, such as the cloud seeding rockets and planes, across provinces to increase potential rain or snow. 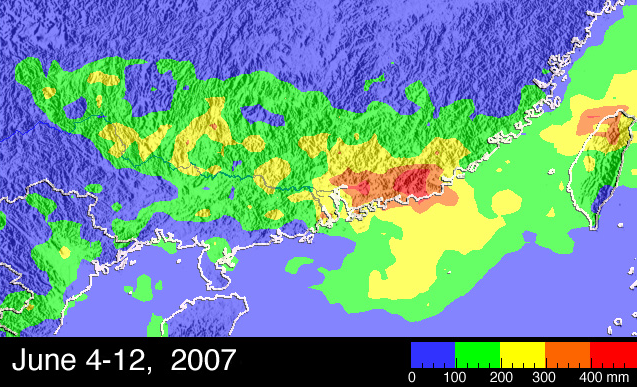 The use of cloud seeding is nothing new to China. 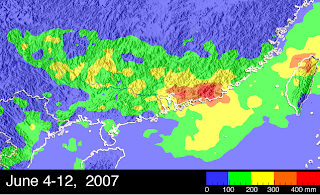 The method of rainmaking involves the injection of silver iodide particles into the atmosphere that stimulate precipitation. In the past, seeding helped clear pollution from Beijing before the 2008 Olympics, but it has also led to grave results in other instances. In 2009, cloud seeding was attributed as the main cause of a masive blizzard that dumped some of the heaviest snow in five decades in China's usually arid north. 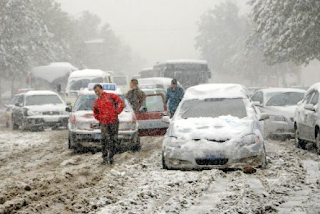 Seeding created 16 million metric tons of additional snow, causing $650 million in damage killing more than 40 people. Safe or not, the government is head strong on its pursuits. Do you think controlling mother nature is a crime? Or maybe its not a crime, but is it the right thing to do? If so, when and where? 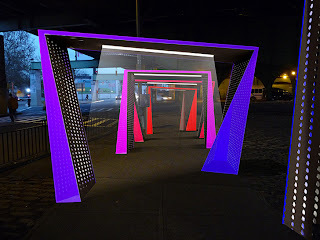 The city of New York has a vision to mask the dreariness and white noise of highway overpasses with a beautiful display of energy efficient LED light displays. 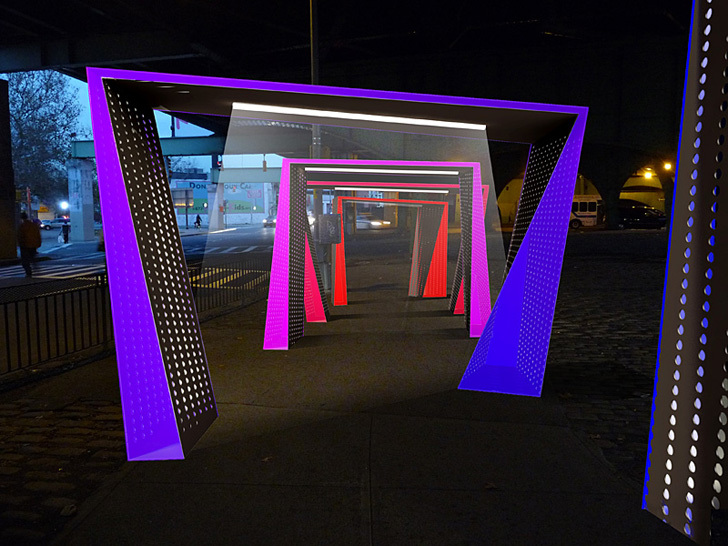 The interactive art piece is called Silent Light, and plans are to turn the Smith and 9th street area of Brooklyn into a dazzling light show. The project repurposes the noisy traffic under the Brooklyn Queens Expressway, transforming it into an illuminated showcase of colorful lights. Silent lights has already received a $5,000 grant from the NYC Department of Transportation, and is launching a kickstart campaign to cover the rest. 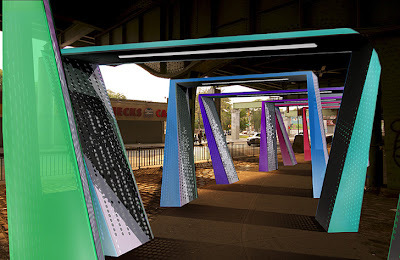 The vibrant project will turn the pedestrian pathway under the BQE at Hamilton Avenue and 9th Street into an ever-changing display of color. The buzzing of passing cars, horns honking, engines revving and pedestrians voices would be picked up by microphones hidden around the intersection. The noise would be processed by a computer that would be synced with the microphones. Silent Lights would then transform the sounds into a visual display. As noise increases, so does the intensity of the light. The flow of traffic would choreograph the light's movement and vibrance. 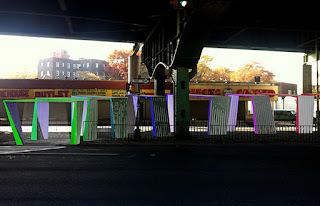 Silent lights is also planning to introduce design and technology to local Brooklyn teams, in a collaboration with Control Group and Red Hook Initiative, and teach kids in the area how to make their own technical displays. 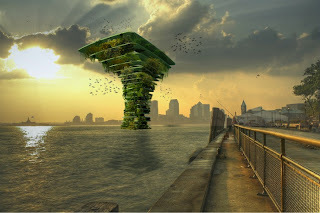 The Sea Tree, striking a keen resemblance to the hanging forest in an Avitar film, are floating habitats that create a safe haven for flora and fauna both underwater and above it. As urbanization and climate change advance, the respective habitats for animals and plants are at a great risk, especially in urban centers. 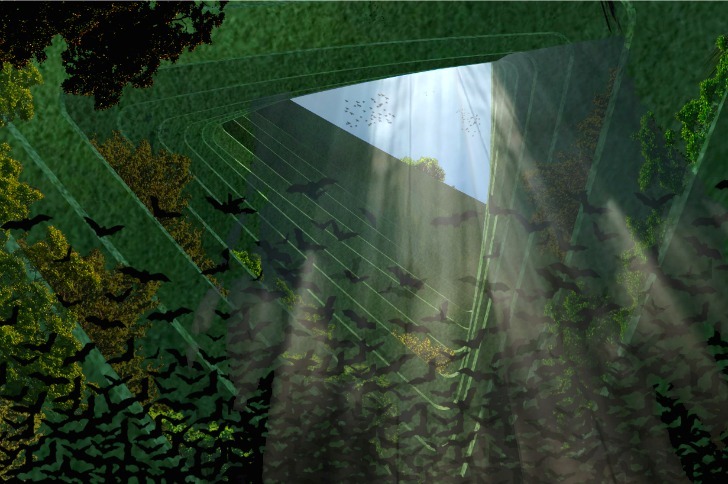 To counteract some of those factors, Waterstudio.nl came up with these protected reserves to help bring positive environmental benefits to the city. The Sea Tree is a floating structure moored out in the water by a cable that holds a series of layers for a variety of species. 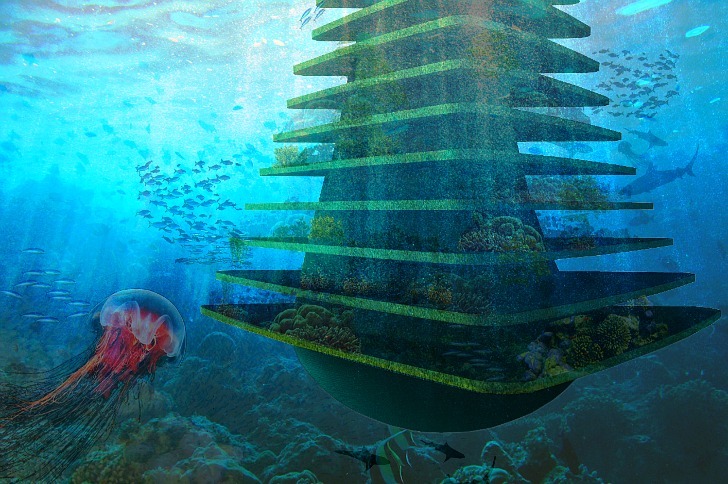 The structure would be built using offshore technology similar to oil storage towers, which can be found on open seas and can be designed for specialized locations like rivers, lakes or the ocean. 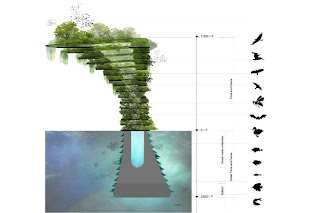 Totally self-sufficient, the structure serves as a base that will eventually grow and support a wide range of flora and fauna including birds, bees, bats and other small animals that will help bring a positive environmental benefit to the city. The structure is also designed with narrow and steep sides at the water line so that people cannot trespass and bother the animals. Waterstudio.nl developed this concept to help protect natural habitats in urban areas and they thought it would be especially perfect for New York City. Their hope is that large companies, like oil companies, would purchase these structures and donate them to cities as a way of showing their concern for animal habitats. 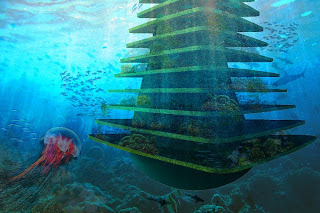 Moored to the bottom of the water floor, the structure can move slightly with the wind and waves. Eventually the animals would overtake these forms and make them their own without taking up valuable space on land. 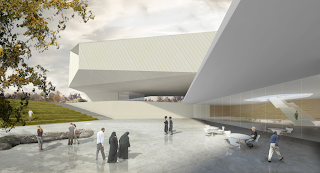 The Museum of Tolerance, located in the heart of modern Jerusalem next to Independence Park, is a symbol of hope and represents an ideology greatly needed in a region historically plagued with forced beliefs, traditions and customs. Designed by Bracha Chyutin, Michael Chyutin, Jacques Dahan, and Ariel Noyman the minimalist structure is very transparent yet concealed in most areas. The building contrasts heavily with the surrounding neighborhood which is diverse in architectural characteristics, representing the history of Jerusalem architecture from the 19th century up to today. The MOTJ is to act as a bridge between the different architectural styles present in its location on one hand, while stylistically using contemporary architectural language and exploring advanced technology and materiality. 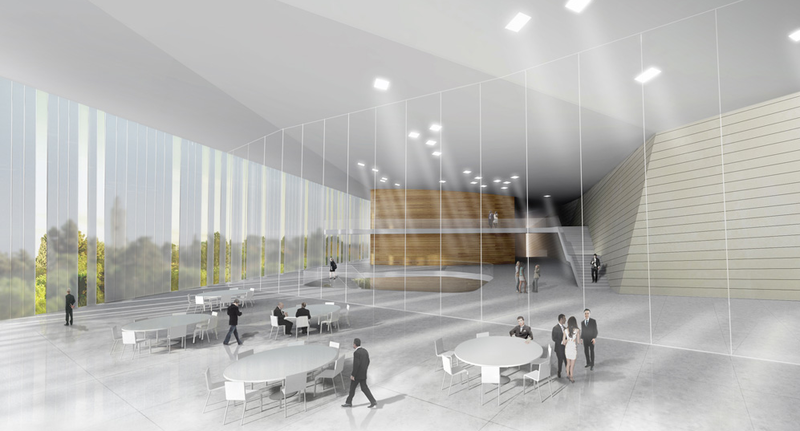 The MOTJ is planned to host a variety of different activities: exhibition spaces, an eduction center, a theater, a multipurpose hall, offices, a restaurant, gift shop, etc. The activities are diverse in the types of visitor communities they serve, in their operating hours, in their environmental requirements of each specific activity, encouraging undisturbed access for various communities to their appropriate destinations. 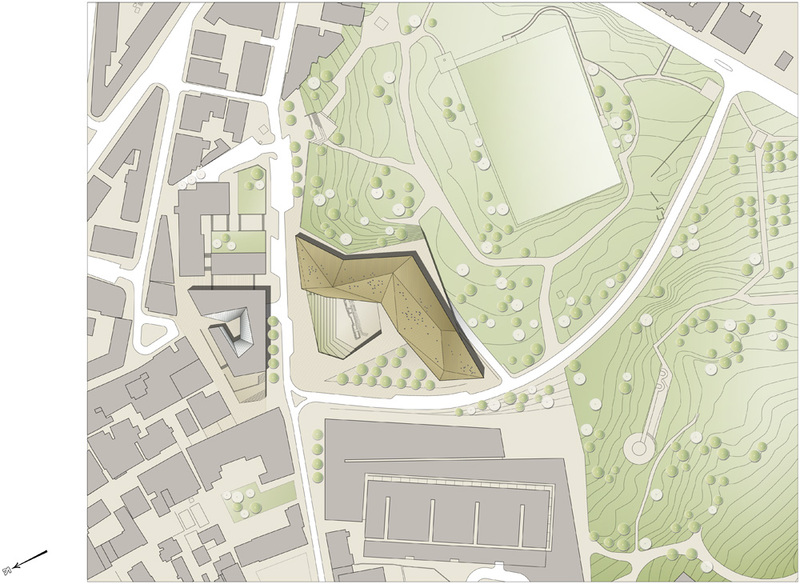 The new public square, outlined by an elongated structure which traces the southern and eastern borderlines of the site, incorporates several different elements: a sunken archeological garden, enclosing the remains of the Roman aqueduct discovered at the site's center, a terraced amphitheater, a grove and various public paved areas, for the various activities of visitors. 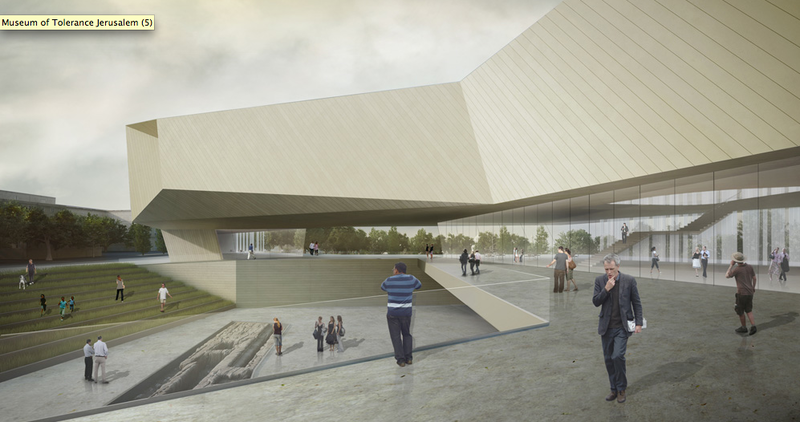 The building is divided into two horizontal wings: a three story floating upper wing which hosts the theater and social meeting spaces, and a 2 level lower sunken wing which contains the children and adult museums exhibition spaces. The entrance floor hosts a restaurant and gift shop. A four level lobby connects the floating wing with the sunken wing. The garden is connected to the street level by a terraced slope which can be used as a seating area for outdoor performances. It has 1200 seating capacity. The architectural language of the MOTJ building sets it apart from its backdrop as a visual icon, while still maintaining continuity in terms of building height and materials with the urban fabric around it. 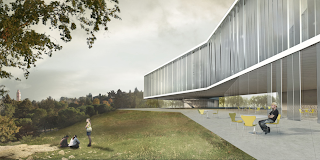 Towards the park, the structure has glass facades, which relate to the glass park facade of the future courthouse. The stone structure floats over the gap and the glass walls of the building's entrance. 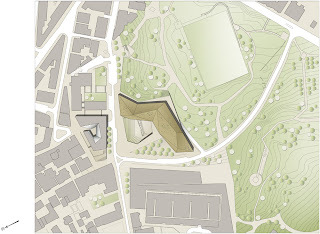 This allows for visual continuity between the city and the park, preventing the building from becoming an impenetrable barrier. The design of the facades, the roof and underbelly as a geometric envelope that connects folded stone- clad planes may be understood as echoing the geographical form of Jerusalem as a city surrounded by mountains. The Beloved American Tradition at Times Square will be used this year to symbolized a new milestone in energy efficiency policies. The lighting of the big green iconic sphere will be illuminated using energy efficient Phillips LEDs. The LED ball will welcome the new U.S. energy and lighting standards that go into effect on January 1st, under the Energy Independence and Security Act. The Philip's new LED light bulbs will be available for home use. Philips aims to replace the usage of incandescent light bulbs in American homes. Like the LEDs used in the Times Square Ball, Phillips is introducing a consumer line called AmbientLED. The 12-watt AmbientLED A19 model will be an innovation for all-effectively able to replace the 60-watt incandescent bulb. The new bulbs use roughly 80 percent less energy than traditional bulbs, making a huge savings for consumer use. Because of the popularity of LEDs and energy efficient bulbs, the AmbientLED line is both affordable and practicle for home use. If everyone switched to Phillips AmbientLEDs at home, a whopping 87.5 million metric tons of carbon dioxide emissions would be eliminated, and the energy savings would total $15.8 billion. Mayor Bloomber announced that Cornell University and its partner, the Technion-Israel Institute of Technology are the winners of yearlong competition to build a New York City Tech Campus on Roosevelt Island. Bloomberg hopes the Tech Campus will elevate New York City to become a world leader in computer engineering, while sparking an explosion of technology and science entrepreneurism within the city. The universities have received nearly free land and up to $100 million in city improvements. Cornel promises to have classes up and running by next September. The Incheon Tri-bow was designed with the idea of designing against the general practices of traditional architecture. 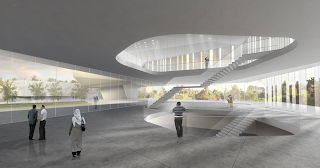 It is composed of a curved floor with a flat roof instead of a curved roof of general architecture. The hall is used for exhibitions and is designed to have a wide ceiling for use in exhibitions. LED lamps, make up the ceiling, allowing for different information to be available on them at any time. The structure floats on a rectangular reflection pond connected by a long bridge which allows patrons to enter underneath the mass. The bridge continues inside the building and acts as the main circulation of the building. The interior was finished with a transparent material and lightweight structure that supports the shell body. The circulation is mapped out in the for of a continuous cubic curve. There are several rooms for exhibition, performance and office space. The exhibition and performance spaces can hold up to 400 people, with floors free of space due to hanging exhibits from the ceiling. The exterior is finished with exposed concrete on the lower part of the shell while the upper portion is finished with aluminum panels. MVRDV's Cloud project an amazing innovative project and a surprising push for unity and community in skyscraper design. Although the tows may resemble the WTC Towers and the attacks on 9/11, MVRDV regrets deeply and connotations The Cloud project evoked regarding 9/11. The Cloud was designed based on parameters such as sunlight, outside spaces, living quality for inhabitants and the city. It is one of many projects in which MVRDV experiments with a raised city level to reinvent the often solitary typology of the skyscraper. 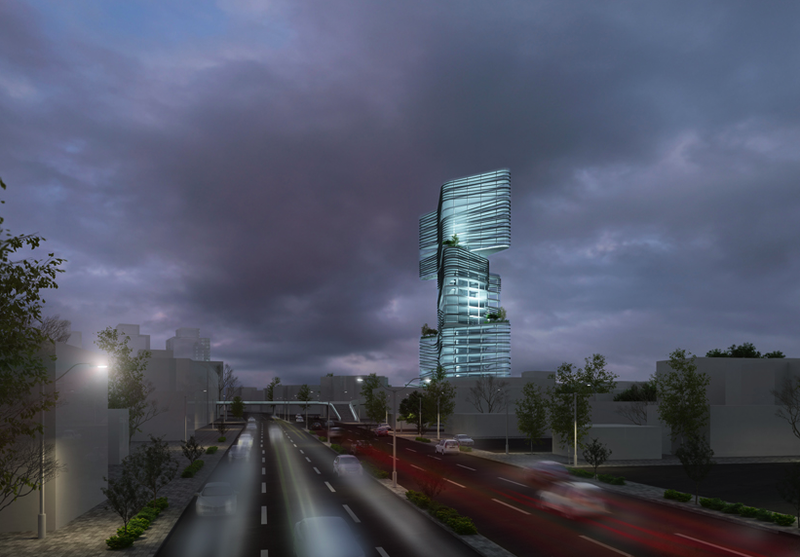 Yongsan Dream Hub corporation presented on wednesday the MVRDV designed residential development of the Yongsan Business district: two connected luxury residential high-rises. A 260 meter (54 floor) tall tower and a 300 meter (60 floor) tall tower are connected in the center by a pixelated cloud of additional program offering amenities and outside spaces with wide views. 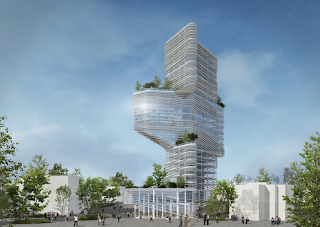 The towers with a total surface of 128,000m2 are expected to be completed in 2015. At the 27th floor the 10 floor tall cloud is positioned. The cloud differentiates the project from other luxury developments, it moves the plinth upwards and makes space on the ground floor level for public gardens, designed by Martha Schwartz. Inside the cloud, besides the residential function, 14,357m2 of amenities are located: the sky lounge- a large connecting atrium, a wellness center, conference center, fitness studio, various pools, restaurants and cafes. on top of the cloud there are a series of public and private outdoor spaces, patios, decks, gardens and pools. The Cloud furthermore contains 9,000m2 of Office-Hotel. The top floors of both towers re reserved for penthouse apartments of 1200m2 with private roof gardens. The structural facade reveals the program behind i and its characteristic grid is extended over the surroundings where it creates gardens, pools and plazas. Parking is solved underground and the next metro station is five minutes walking distance.